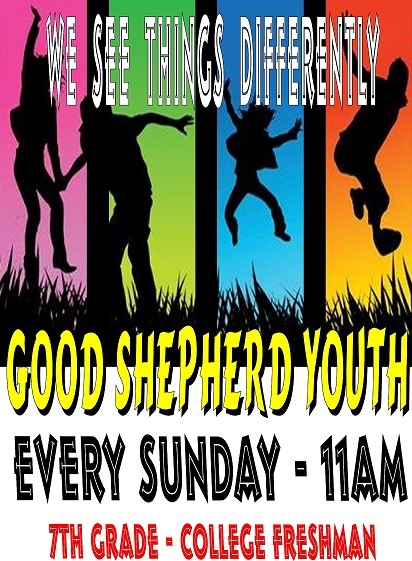 Good Shepherd Youth are a big part of who we are. They bring excitement and energy to the life of the church. For over 50 years they have also added to the life of Green Island as well. Many adults in our community have been members of the group. Sunday School has recently begun again at the church. The group meets once a week for about 45 minutes immediately following the "Children's Moment" of the Sunday Service. Lessons are based on the Bible readings that are addressed in the weekly service. We discuss how the readings can become important to in daily lives, with lessons about things like fairness and bullying. Open to all youth in Grades 7 – College Freshman. We discuss God’s plan for each of us and tackle the issues facing today’s youth using relevant media and the Bible. Our meetings and discussions are non-judgmental and we look to see how God can bring us together to make a better world. We are waiting for you to be a part of who we are and what we do!